The Nagra MPS is a multiple power supply designed to power up to four Nagra units at once, as well as the BPS compact phono preamplifier. 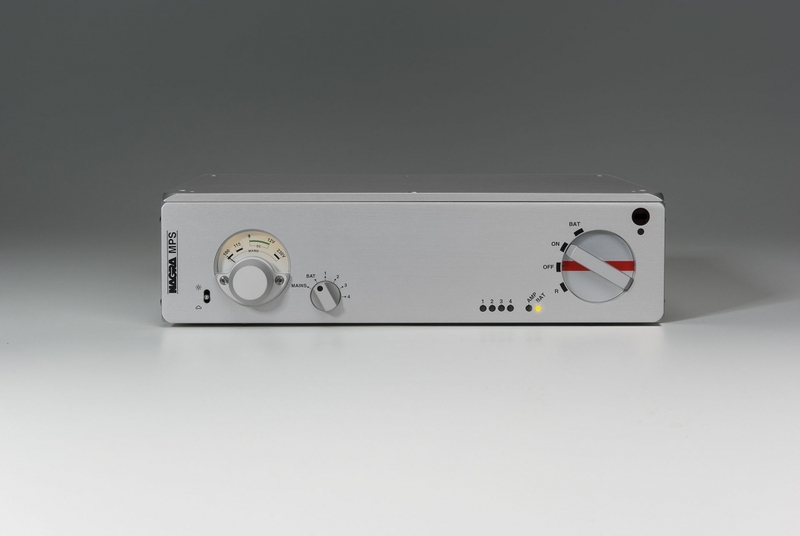 The Nagra MPS power supply comes in a stand-alone aluminium case which adopts the same size and form as the brand’s other electronics. Particularly useful for use with the HD DAC, which requires two power supplies, the MPS offers constant noiseless power for multiple elements. Specially intended for the BPS and VPS phono stages, an optional Li-ion battery can be installed on one output to deliver a pure power source. This multiple power supply goes as far as technology currently allows in terms of silent running, stability and dynamic performance. It enables the equipment connected to it to increase their overall musicality, giving rise to an even more realistic reproduction, alive and detailed, creating a full soundstage. The Nagra MPS power supply circuits are based around an oversized transformer, designed and hand-made by Nagra, whose four outputs are galvanically isolated. The unit benefits from massive filtering thanks to its high capacity condensers which completely isolate it from the ever increasing disturbances to which the mains is prone. Each output possesses its own ultra low noise regulatory circuit which ensures perfect voltage stability under all circumstances. One of the outputs (No. 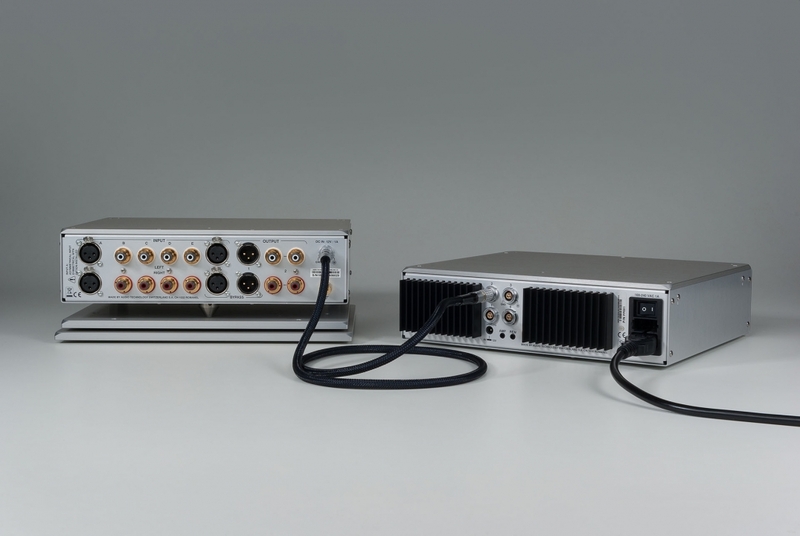 1) has also been designed to accept an optional rechargeable battery in order to power a phono preamplifier such as the Nagra VPS or BPS, for example, in total silence, the unit being completely isolated from the mains. 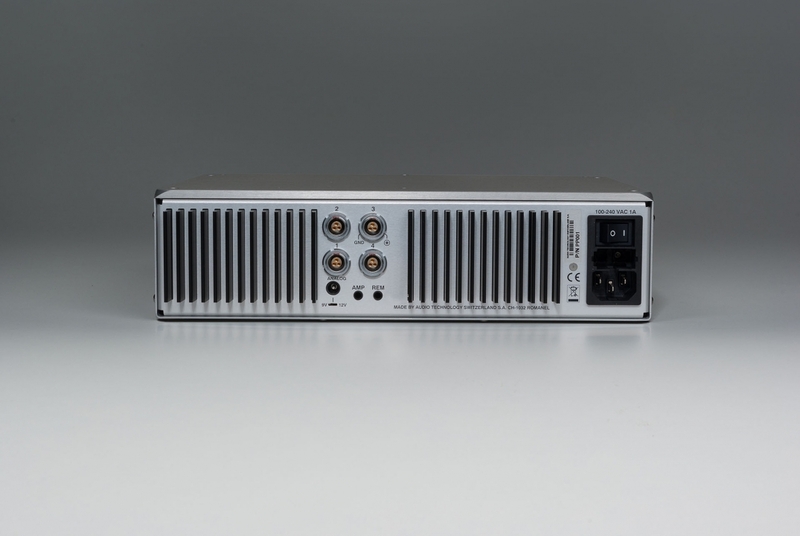 The Nagra MPS power supply’s front panel features a display where the user can choose to show the mains voltage, the voltage of each output and the state of the battery charge if relevant. The MPS power supply can be switched on via a Nagra remote control. It comes with input and output triggers which can be run by a home automation system, so that in conjunction with an appropriate device, the unit can be switched on remotely by telephone, for instance. The home automation loop can also be used to switch on other elements of the hi-fi system. Home automation input and outputs: 3.5mm jack connectors, output switched by relay (max 1A). DC cables : Custom made shielded cable with high quality Lemo connectors, available in 0.75 or 1.25m lengths. Other lengths available on request.DC cable for the BPS, 1m.